Select the cell to display the result e.g. cell C9 in the image shown below. 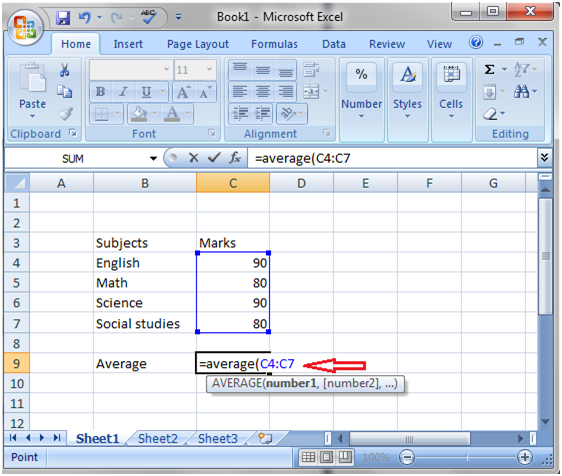 Now type "=" sign in the cell and type "average" then type opening parenthesis. Now select the data, cells from C4 to C7 then press the Enter key to get the result.